It holds true that the bathroom is one of your home’s hardest-working areas. There is really no reason for you not to have fun selecting the best bathroom countertops in Dallas. Interestingly, these countertops do not face the same challenges as kitchen countertops. There are no sharp utensils, warm pans, and spilled liquids. So, if you are planning to install one, this guide should help you. Read on and learn some of the best materials to use for your project. Obviously, this is the number one on the list. Granite is the more popular choice in the countertop industry. This countertop material excels in providing homeowners with a durability that is unmatched. Considered as one of the hardest natural stones, countertops made of granite are resistant to scratches. 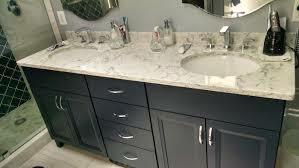 More importantly, granite offers over the top beauty, giving your bathroom more functionality and overwhelming beauty. Sure, you may need to spend a bit on this countertop material but it is totally worth it. When it comes to providing a classic appeal that matches any type of color that you desire, marble is definitely the go-to countertop material. However, only a few people understand that this natural appeal is unique to marble. The color and grain of this material is not something that you can find in other natural stones. Hence its appearance is considered timeless and classic. 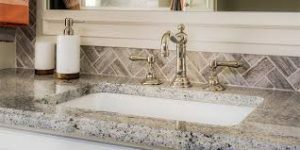 Interestingly, marble bathroom countertops in Dallas are more budget-friendly choices and sought-after countertops in the market. As a matter of fact, rarer types of marble are usually less expensive than quartz. Although quartz is a manufactured countertop material, it still excels in terms of beauty and elegance. In fact, the production process it undergoes enables a much larger quantity of colors than you can find in others. This is not to mention the fact that this countertop material’s aesthetic is lavish. But more than its aesthetic appeal, quartz bathroom counters in Dallas are also extremely durable as other natural stone countertops. Above all, it is much more flexible, making it chip and split resistant. When you have a countertop that is durable and beautiful, you simply could not ask for more! 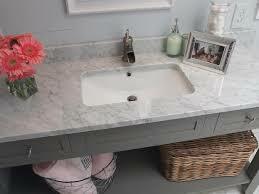 Are you in the market for bathroom countertops in Dallas? Contact Hard Rock Imports now! One of our experts will be happy to assist you. Call us today for a no cost, no obligation design estimate!